ACH payments allow customers to pay online using a bank account. Payments happen through the ACH network, an electronic network for financial transactions in the United States. The primary benefit of ACH payments is the low transaction fee, particularly on larger transactions. The tradeoff with ACH payments is that payments do not happen instantly like with credit card payments. ACH payments take 3-7 business days to clear through the ACH network. You must have an account with a payment processor that supports one of these payment gateways and ACH payments. If you do not see your gateway listed then please contact us at support@invoiced.com to discuss getting it added. 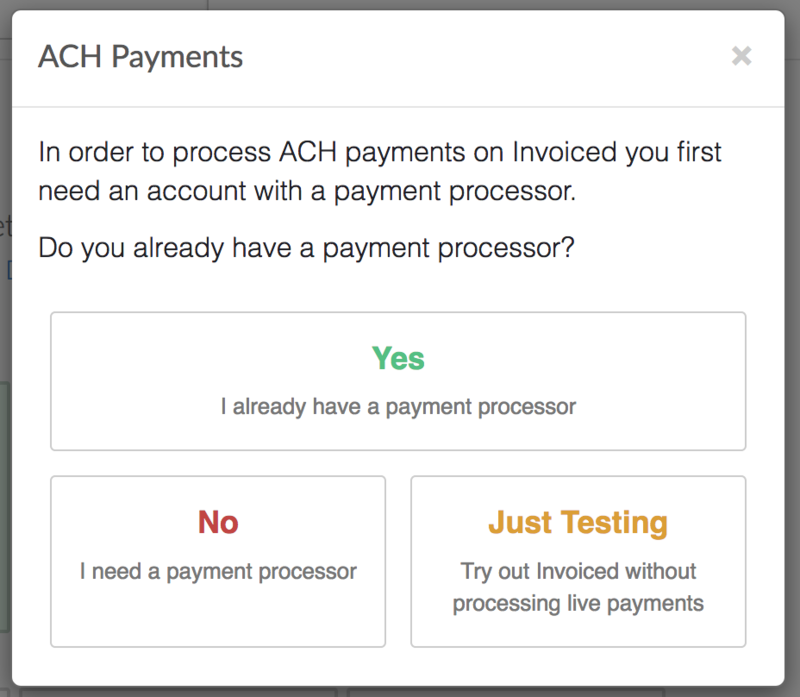 Once you are established with a payment processor, setting up ACH payments is easy! 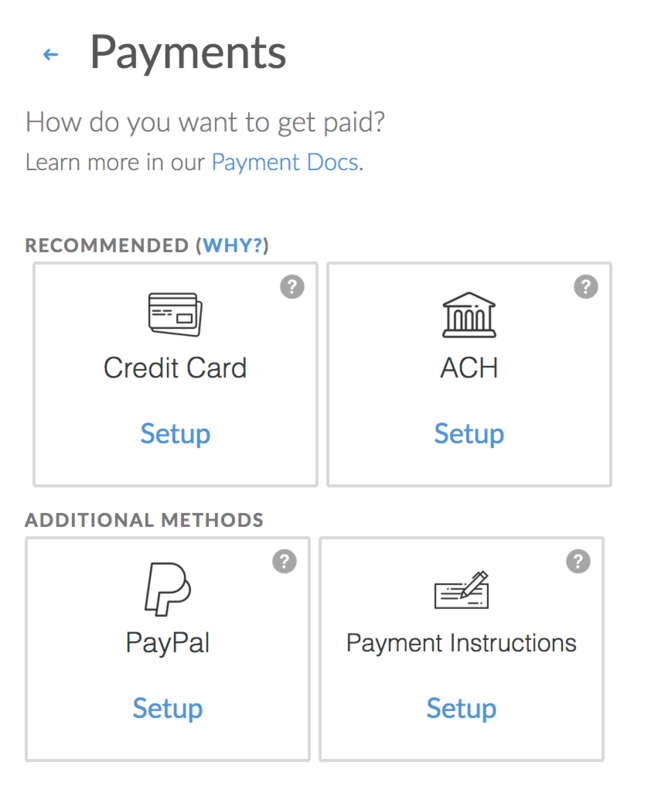 Follow these steps to start accepting ACH payments in minutes. Click Setup on the ACH payment method. Customers can select the ACH payment method from payment forms. Most payment gateways will require the customer's bank account and routing number. This can be found on the bottom of a check. Some payment gateways, like Stripe, might require customers to verify their bank account once before they can make payments to you. Like customers, internal Invoiced users have the ability to apply a payment to an account with an ACH payment method on an invoice. Whether a customer has saved an ACH payment method on file or has provided the user with the information, easily access the virtual terminal for payments by navigating to the invoice and selecting receive payment -> charge. From there, you can select the saved ACH payment method or enter a new ACH method. ACH payments work with AutoPay when your customer has a saved bank account on file.